“On Culture: Mapping Valletta 2018”, Valletta 2018's publication presenting multidisciplinary research on the use of cultural spaces in Malta and Gozo, was launched yesterday at Auberge d'Italie. 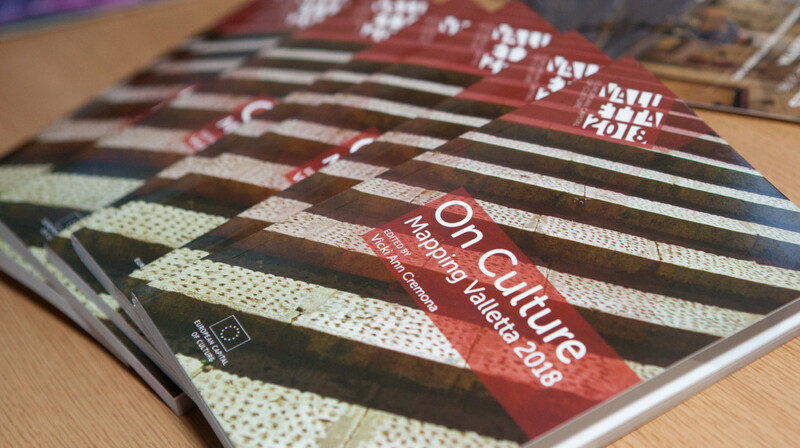 The Valletta 2018 Foundation has launched the book “On Culture: Mapping Valletta 2018” – a publication presenting multidisciplinary research on the use of cultural spaces in Malta and Gozo. Addressing the crowd during the book launch, Valletta 2018 Chairman Jason Micallef said “Research allows us to examine what communities want and need. It helps us increase the value of our propositions”. Mr Micallef described the publication as “a positive step in ensuring the constant dialogue with the community – with our audience”. The book, now on sale from major bookstores and Agenda outlets, tackles various subjects from Argentine tango to the use of theatre spaces – from a broad range of academic fields, as part of the Valletta 2018 project ‘Cultural Mapping’. This analysis is carried out in light of the Malta’s ever-changing cultural sector in the run-up to Valletta 2018, bringing forth compelling new thinking on Malta’s cultural realities. Cultural Mapping is a Valletta 2018 research project designed to generate and assess information about the use of spaces for cultural purposes in Malta and Gozo. The project is creating a valuable information database which maps out the cultural use of public and private spaces across the islands. This project’s first deliverable, the interactive online map culturemapmalta.com, was launched in May 2015. An international conference on the subject titled ‘Cultural Mapping: Debating Spaces and Places’, was held in October 2015. A third strand of the Cultural Mapping project, stemming out from the research carried out for this publication, is a detailed Theatres Audit which is currently half way through completion. The Theatres Audit project will be looking at theaters in various localities in Malta and Gozo from an artistic, technical and building perspective to understand the state of such theaters and which theaters require intervention. The Valletta 2018 Cultural Mapping project is taking place in collaboration with the University of Malta and supported by the Culture and Audiovisual Unit within the Ministry for Justice, Culture and Local Government. The book is published by Midsea books.